Be DNA Certain™ the biopsy specimen(s) are free from contamination and belong exclusively to the patient being evaluated. 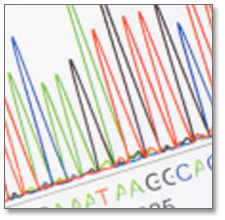 Specimen provenance errors can exist even when no error is suspected. 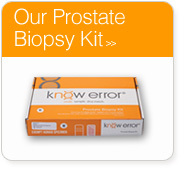 Discover enhanced diagnostic accuracy with the routine use of the know error® system to confirm the specimen provenance of your patient’s biomarker results. The Know Error test, DNA Specimen Provenance Assay (DSPA), completes the diagnostic testing cycle and biomarker testing workflow while protecting the patient, physician, laboratory and genomic testing provider against Specimen Provenance Complications (SPCs). Strand Diagnostic’s offers DSPA testing, a DNA test, to confirm cancerous biopsy specimens are free from contamination and are ascribed to the correct patient. DSPA will compare the DNA profile of a patient’s cheek swab to the DNA profile of the cancerous biopsy specimen(s) used for the biomarker diagnosis. Matching DNA profiles confirms that the biopsy and biomarker results belong exclusively to the assigned patient allowing complete confidence in developing a personalized treatment plan. 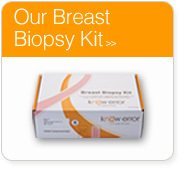 Please call 1-888-9Biopsy (924-6779), option 2 to order a DSPA testing or request a biopsy kit. We are your trusted partner for fast, reliable results.